Teach English abroad in Jordan, exclusive home to one of the rarest flowers in the world, and base camp of Laurence of Arabia during his epic conquest. In Jordan they love the King, and are very hospitable people. Traditionally woman wear hijabs, though it is optional, and common cultural guidelines include to not over admire anything to much, especially children, to always eat with your right hand, to only touch your spouse, and to not decline a gift. Jordan, is an Arab country in the Middle East. It is bordered by Syria to the north, Iraq to the north-east, Saudi Arabia to the east and south, and Israel and the Israeli-occupied territories to the west. It shares with Israel and the Israeli-occupied territories the coastlines of the Dead Sea, and the Gulf of Aqaba with Israel, Saudi Arabia, and Egypt. American TESOL Institute provides graduates with job placement support in Jordan. 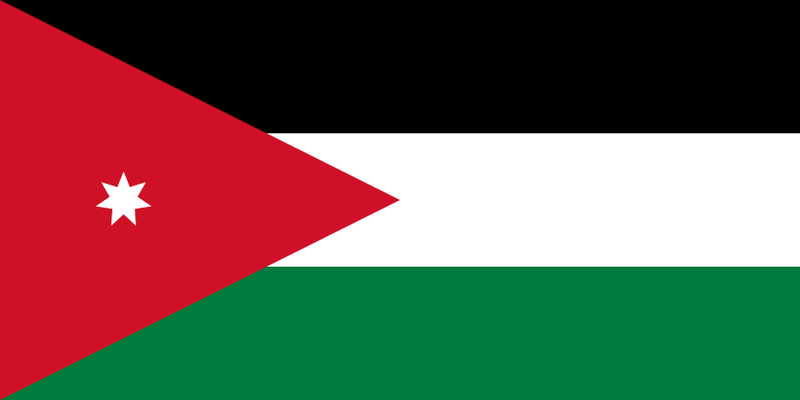 For most of its history since independence from British administration in 1946, Jordan was ruled by King HUSSEIN (1953-99). A pragmatic ruler, he successfully navigated competing pressures from the major powers (US, USSR, and UK), various Arab states, Israel, and a large internal Palestinian population, despite several wars and coup attempts. In 1989 he reinstituted parliamentary elections and gradual political liberalization; in 1994 he signed a peace treaty with Israel. King ABDALLAH II, the son of King HUSSEIN, assumed the throne following his father's death in February 1999. Since then, he has consolidated his power and undertaken an aggressive economic reform program. Jordan acceded to the World Trade Organization in 2000, and began to participate in the European Free Trade Association in 2001. After a two-year delay, parliamentary and municipal elections took place in the summer of 2003. The prime minister appointed in December 2005 said the government would focus on political reforms, improving conditions for the poor, and fighting corruption. TESOL Certification for Teaching English to Speakers of other Languages in Jordan.